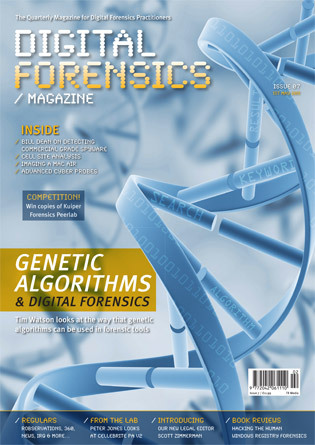 In Issue 27 Mattia Epifani and Pasquale Stirparo provide an overview of the current state of the art in iOS acquisition methods. 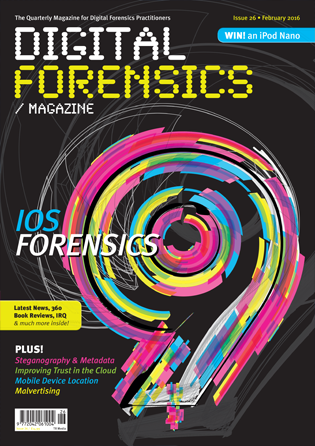 In Issue 26 Mattia Epifani and Pasquale Stirparo provide an overview of the current state of the art in iOS acquisition methods. 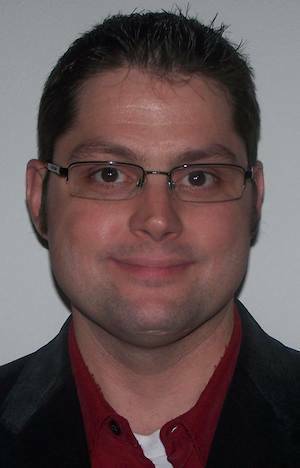 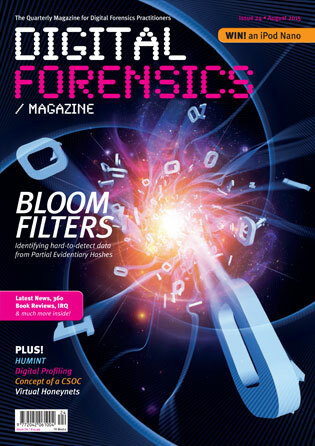 In Issue 24 Richard Carbone who works for Defence R&D Canada, introduces the application of Bloom Filters into Digital Forensics. 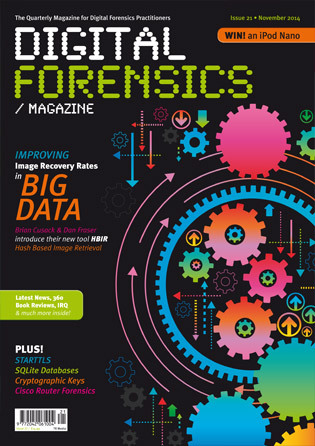 In Issue 23 Peter Snelling shows us how intelligence professionals can reap the rewards of Data Fusion and High-Performance Analytics. 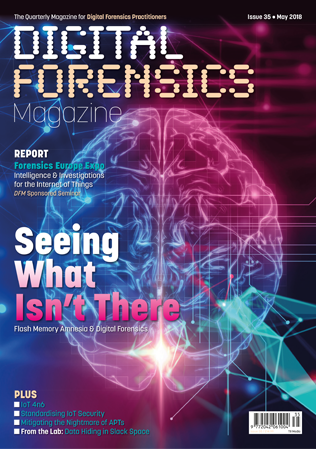 In Issue 22 Peter Snelling shows us how intelligence professionals can reap the rewards of Data Fusion and High-Performance Analytics. 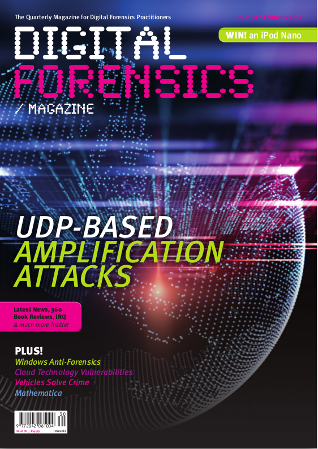 In Issue 21 we discuss the Core skills required to work in the cyber industry and Mark Osborne takes a look at DDoS attacks using NTP. 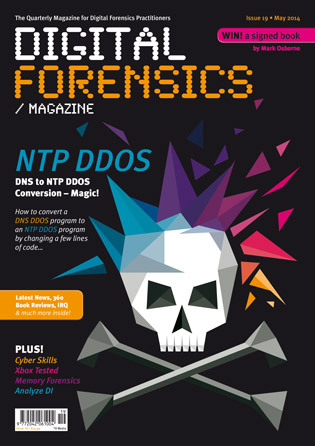 In Issue 20 we discuss the Core skills required to work in the cyber industry and Mark Osborne takes a look at DDoS attacks using NTP. 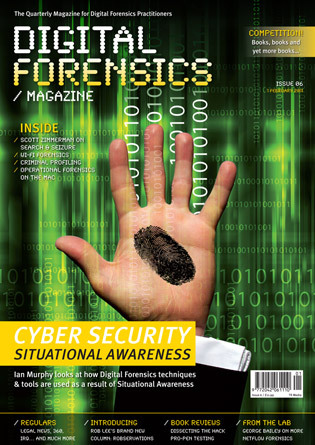 In Issue 19 we discuss the Core skills required to work in the cyber industry and Mark Osborne takes a look at DDoS attacks using NTP. 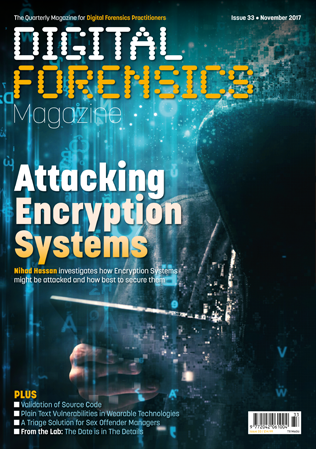 In Issue 18 we discuss the Forensic Investigation of Google Desktop, Cyrptographic Key Recovery and the Fuzzing Risks in Software Applications. 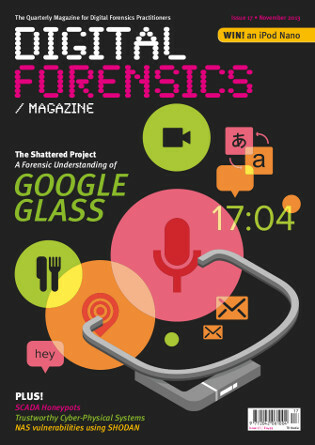 In Issue 17 we discuss the Forensic Investigation of Google Desktop, Cyrptographic Key Recovery and the Fuzzing Risks in Software Applications. 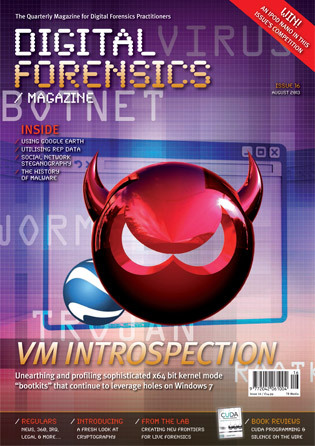 In Issue 16 we discuss the VM Introspection, Google Earth and Desktop Forensics, iPhone Backup files and more. 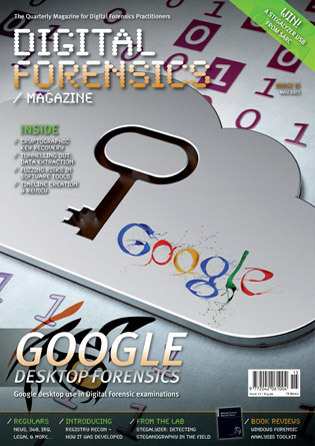 In Issue 15 we discuss the Forensic Investigation of Google Desktop, Cyrptographic Key Recovery and the Fuzzing Risks in Software Applications. 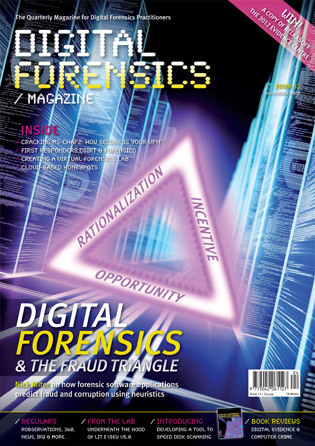 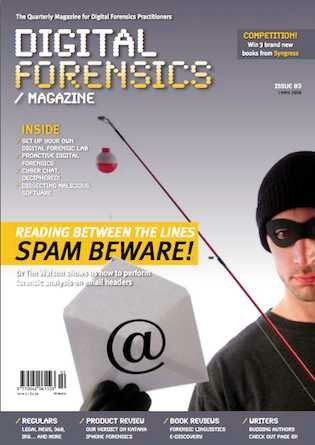 In Issue 14 we discuss the use of the Fraud Triangle in Forensics Investigations, using Honeypots in the cloud and how to test the security of your VPN. 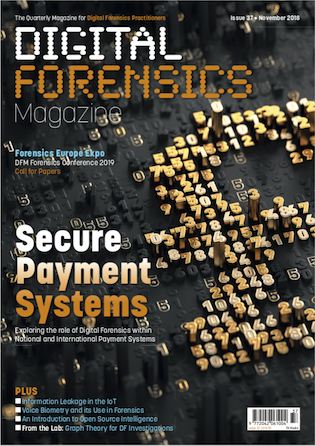 In Issue 13 we discuss the use of the Fraud Triangle in Forensics Investigations, using Honeypots in the cloud and how to test the security of your VPN. 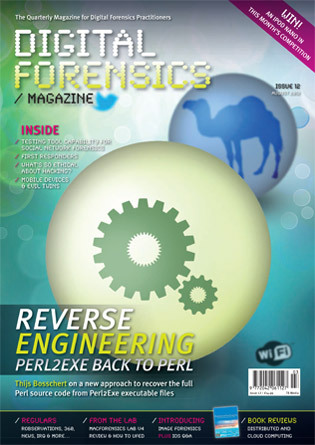 In Issue 12 we discuss how to reverse engineer PERL2EXE back to PERL, how Mobile Devices are being misued, Ethical Hacking and much more! 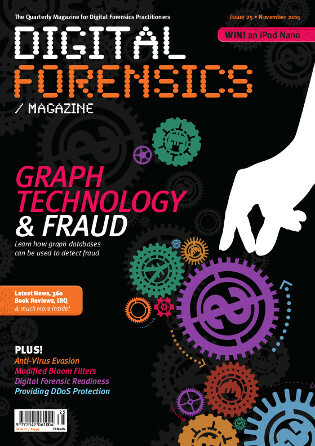 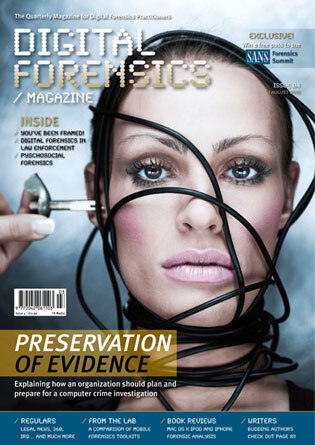 In Issue 11 find out about a new and innovative forensic technique using Stochastic Forensics and also about WPS insecurities. 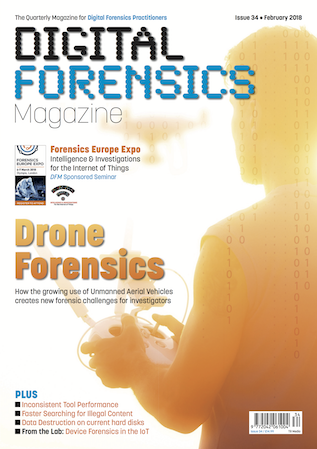 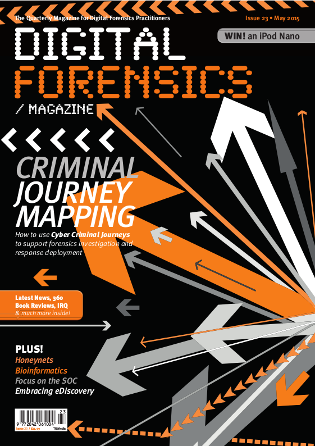 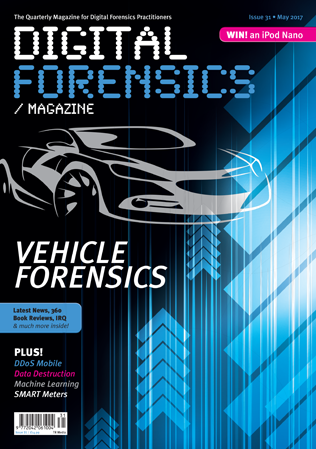 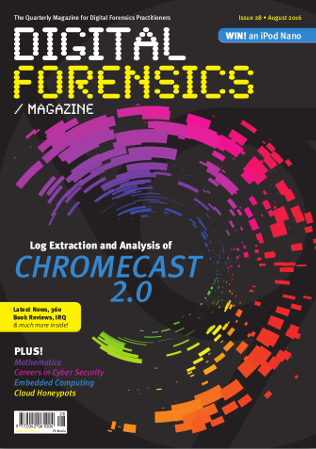 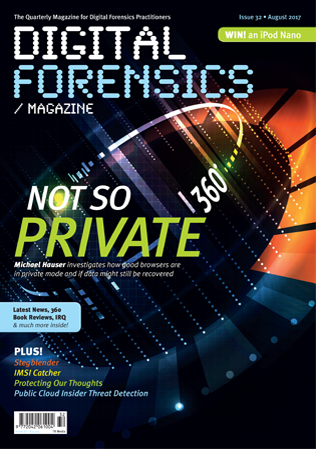 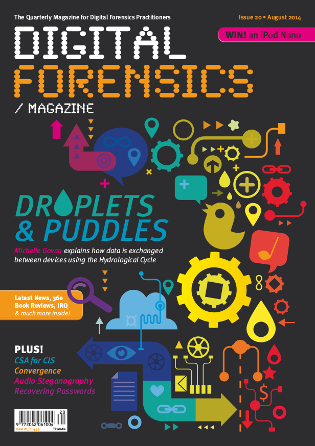 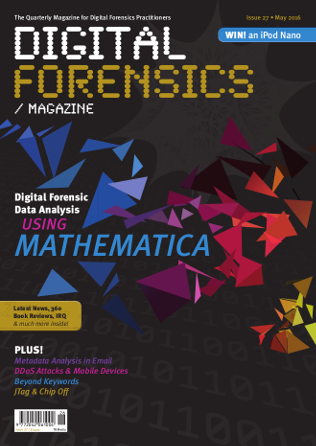 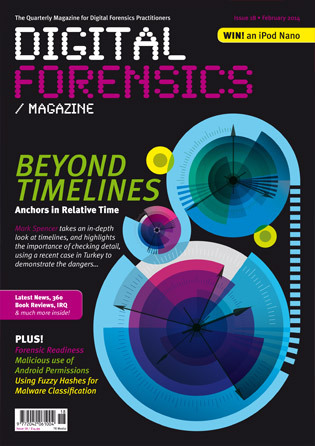 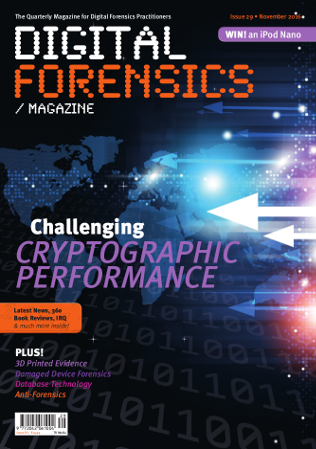 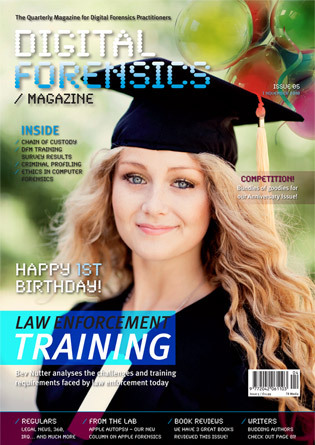 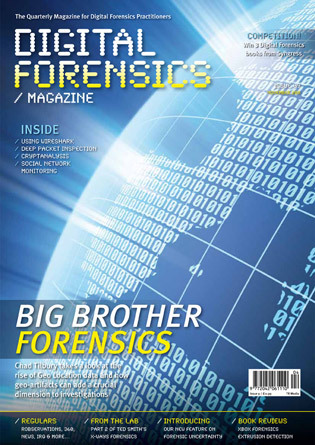 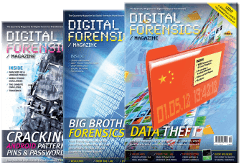 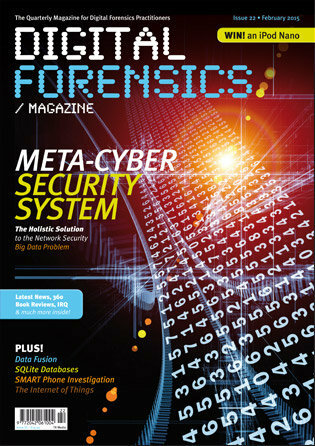 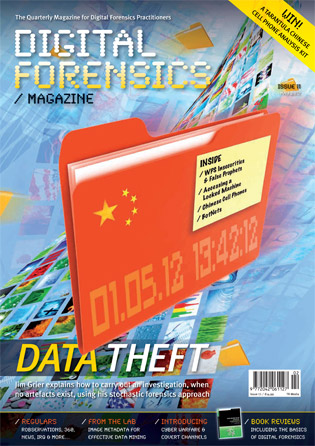 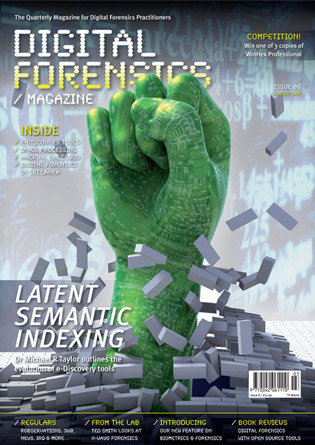 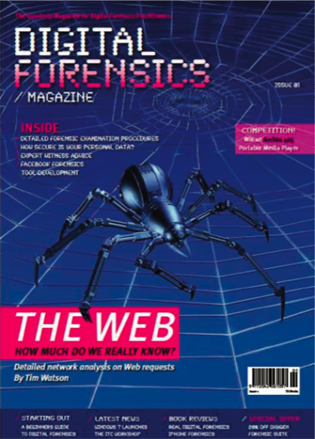 As always, Digital Forensics Magazine brings you the best articles from the industry. 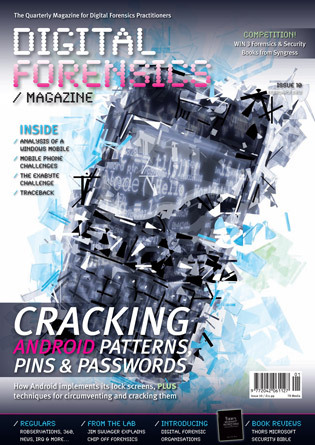 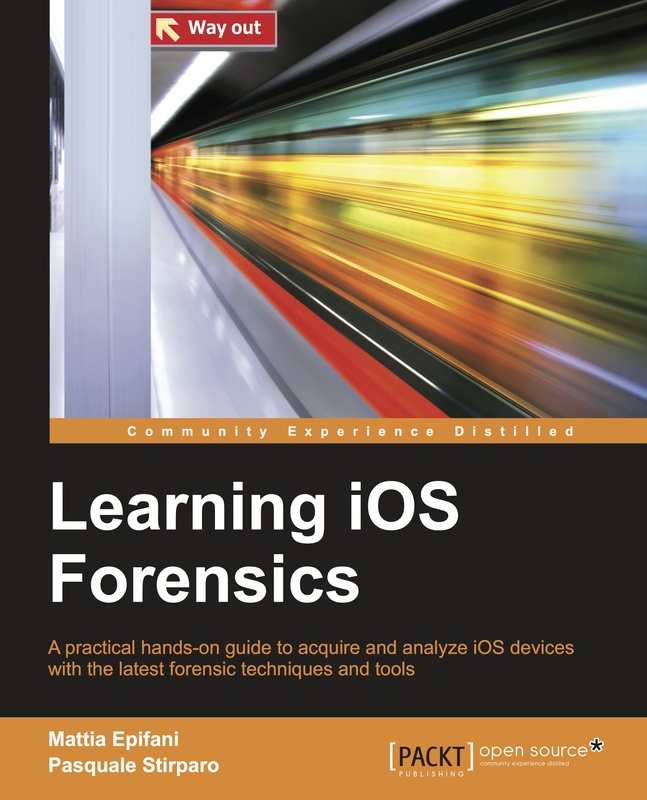 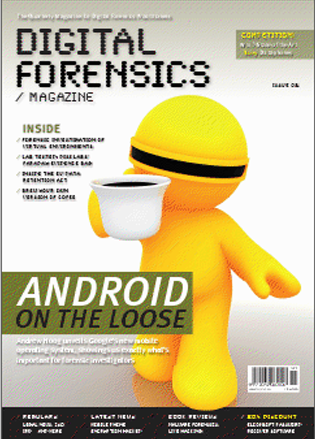 In issue 10 take a look at the world of Mobile Device Forensics! 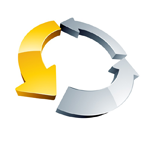 From Android to Windows to Apple iOS; we've got it all covered. 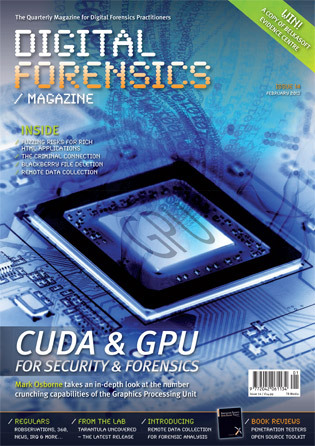 We also take a look at Chip-Off Forensics. 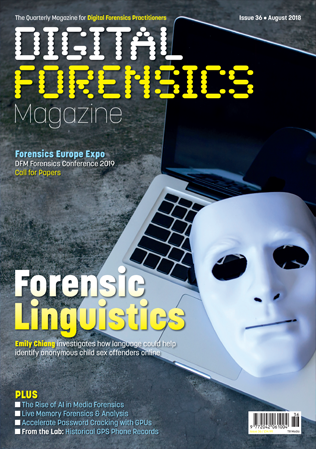 ThIS ISSUE CONTAINS ARTICLES AIMED AT ALL LEvELS OF ExPERTISE, SOME TEChNICAL, SOME ExPLORING LEGAL ISSUES, AND SOME DOWNRIGHT ExPERIMENTAL.